Fits our Automatic Proofing Trays. 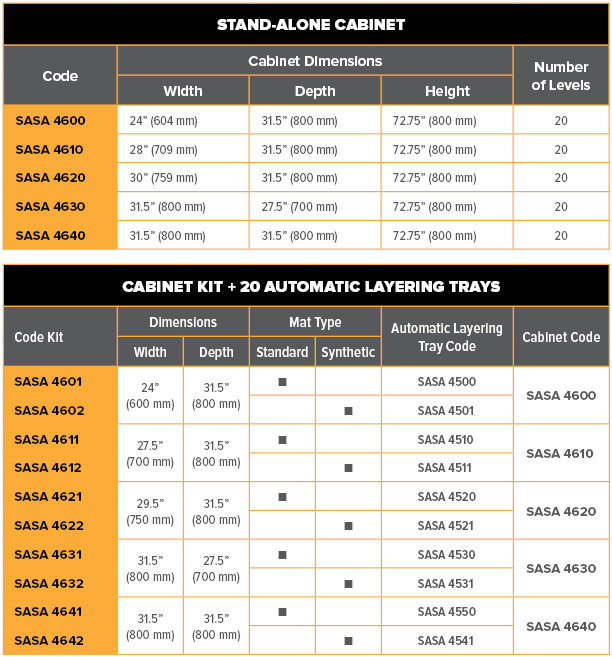 SASA cabinets for automatic proofing trays are reknowned for their space saving design, resulting in maximum storage optimization. They are a professional's first choice for practicality and efficiency. 2 sides stainless steel + 2 laminated plywood doors (framed with stainless steel) on the sides. 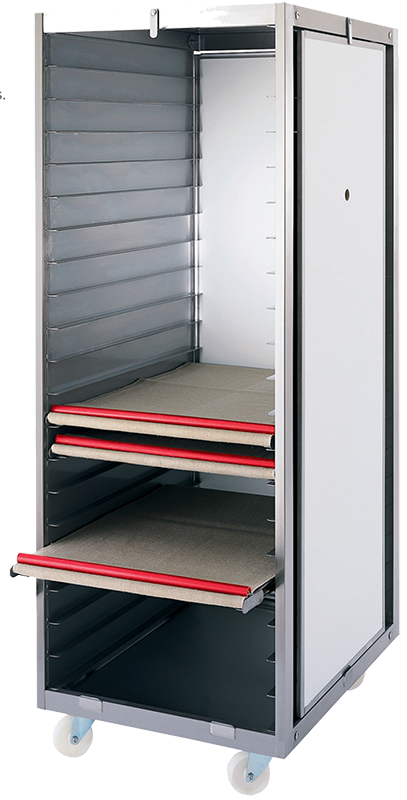 Can be delivered assembled or packed for self-assembly.